Heat oven to 350°F. Grease 10-inch bundt pan with shortening and flour lightly. 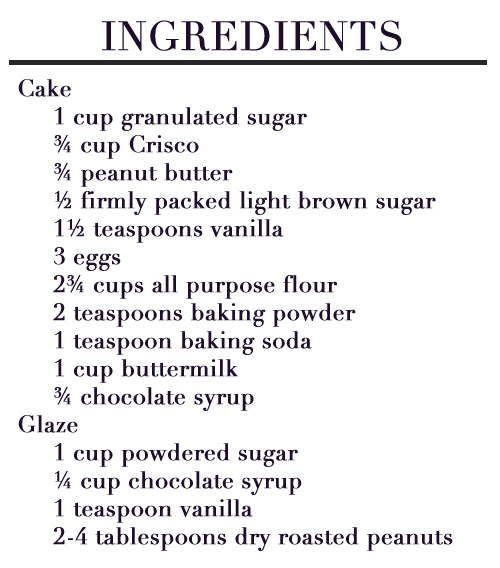 For cake, combine granulated sugar, ¾ cup shortening, peanut butter, and brown sugar in large bowl. Beat at low speed until creamy. Add vanilla and eggs, one at a time, beating well after each addition. 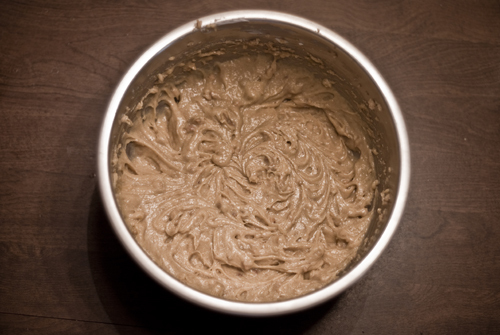 Combine flour, baking powder, and baking soda in medium bowl. Add to peanut butter mixture alternately with buttermilk, beating after each addition until well blended. Spoon two cups batter into medium bowl. Stir in ¾ cups of chocolate syrup. Spoon plain batter into pan. 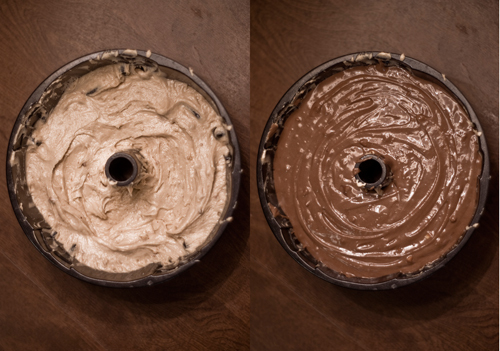 Spoon chocolate batter over plain batter. Do not mix. Bake at 350°F for 1 hour and 10-20 minutes (or until toothpick inserted in center comes clean). Do not overbake. Cool 45 minutes on wire rack before removing from pan. 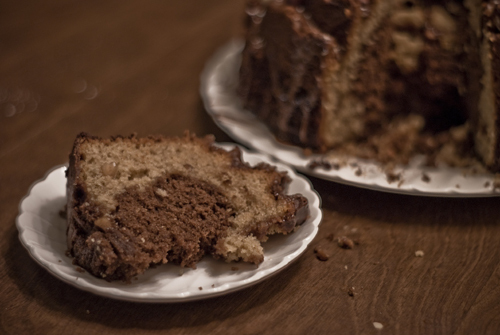 Place cake onto plate and cool completely. For glaze, combine powdered sugar, ¼ cup chocolate syrup, and vanilla in small bowl. Stir to blend. 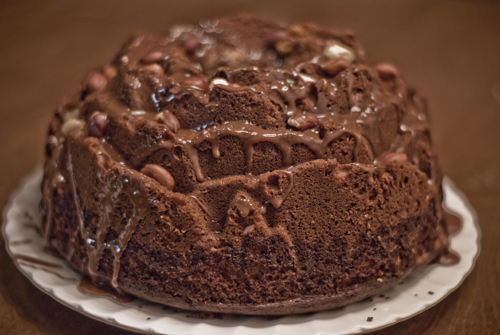 Spoon over cake, then sprinkle with nuts. Heat oven to 450°F. Lightly grease eight 3-inch muffin pan cups. 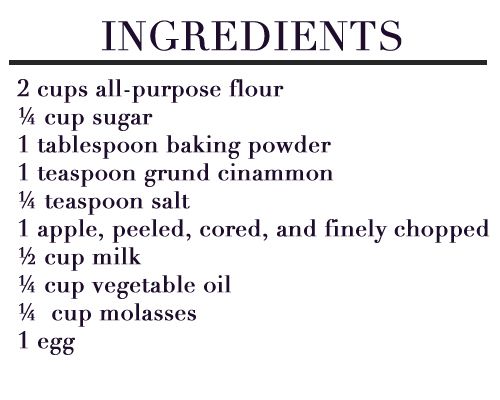 In large bowl combine flour, sugar, baking powder, cinnamon, and salt. Add apple and stir to distribute evenly. In small bowl, beat together milk, oil, molasses, and egg. Stir into dry ingredients and mix just until blended. Fill muffin pan cups with batter, bake 5 minutes. Reduce heat to 350°F and bake 12-15 minutes longer, or until center of muffins spring back when gently pressed. Cool in pan for 5 minutes. 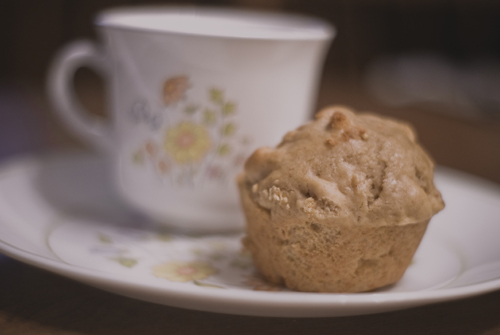 Remove muffins from pan and cool slightly; serve warm.